Hosted by Anjelica Malone. Celebrating the diversity of American Midwives (CPMs, CNMs, & Traditional Midwives). This is a listen in on the conversations midwives have about the work they do and the people they serve. You'll discover the different education paths there are to becoming a midwife in the United States; the hurdles and push-back midwives face in various states & territories; and why midwifery is the solution to fixing America's troubling maternal and infant mortality rates. Plus, Anjelica will share updates on her journey to becoming a midwife in Seattle, WA at Bastyr University. In this episode I chat with Rosemary Loperena, a Certified Professional Midwife (CPM) from Aguadilla, PR. Rosemary attended and graduated from Birthingway College of Midwifery in Portland, OR after first spending 10 years working as an Industrial Engineer. She felt her call to Midwifery while completing her training to become a Licensed Massage Therapist and Doula. 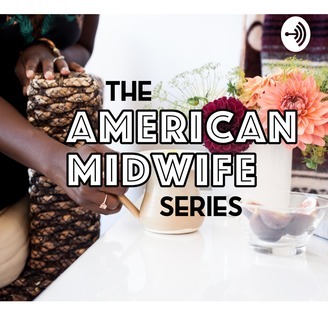 Rosemary offers so much wisdom in this episode about navigating birth, particularly in Puerto Rico. She even provides us with a list of resources for childbirth classes, doula services, midwifery care and midwifery education across the island. We dove into how she juggled making an income while in school, working at four different midwifery practices in order to gain all the skills she needed to take the NARM exam, her upcoming trip to Haiti with Mama Baby Haiti, and the tension she feels in serving her beloved community in Puerto Rico and the Latin community in Portland, Oregon. You can support the midwives and mothers giving birth in Haiti on the Mama Baby Haiti website and support Rosemary's trip to Haiti here: https://www.gofundme.com/help-rose-loperena-serve-pregnant-woman-in-haiti. Rosemary is currently enjoying the ocean back home in Puerto Rico, specifically Crashboat Beach, which is a gorgeous strip of coast on the western side of the island, with turquoise blue water and an uber fresh fish shop right on the sand. She’s also been into gardening, sleeping (birthworkers, you know! ), knitting, playing pingpong, and reading Diana Gabaldon’s, The Fiery Cross. You can connect with Rosemary on Facebook and email here at roseloperena@yahoo.com. Links & Resources from the Episode: 1. Debbie Diaz, CPM Escuela Dar a Luz https://escueladaraluz.com 2. Zayelit Budet Meléndez, Childbirth Educator San Juan, PR 3. Mujeres Ayudando Madres (MAM) Child Ed and many other services in the San Juan area http://mujeresayudandomadres.com 4. Heidi Hernández, CNM Childbirth Educator and Midwife in Moca https://www.facebook.com/casaarje/ 5. Gina Dacosta Rivera, CPM Midwife & Childbirth Educator in Manati: GROW Pregnancy & Parenting Center https://www.facebook.com/pg/GrowPPC/about/?ref=page_internal 6. Zally Santos Child Ed and Breastfeeding Support Umanize on FB 7. Yarilis García Ramos, Certified Professional Midwife in Caguas & San Juan, PR https://www.facebook.com/doula.bebe 8. Mumu Marianne Charline, Partera in Cidra, PR https://www.facebook.com/parteramumu/ Would you like to be a guest on the podcast? Email me here and tell me where you live and what you're up to: hello@anjelicamalone.com. You can also connect with me on Instagram or my website www.anjelicamalone.com. 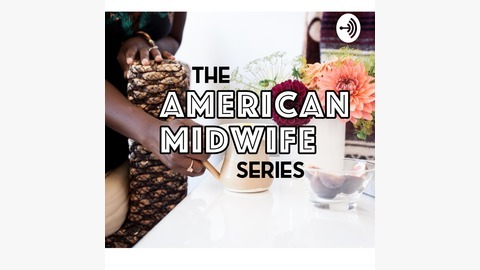 What’s The American Midwife Series, about? + be a guest midwife on the podcast!